Some people have opinions, some write about technical topics developing quickly. Either way, what you publish today might not be as accurate in a year or two from now. 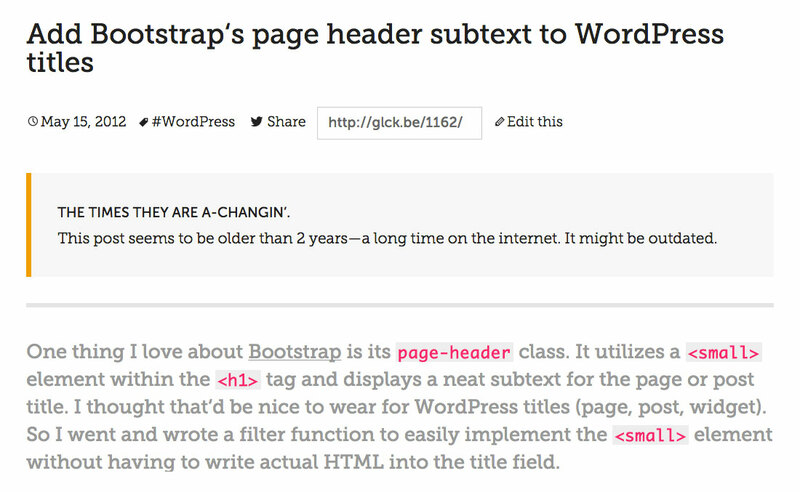 Meet Aged Content Message, a super-simple plugin to inform your readers the content they’re facing might be outdated. The plugin does not come with any settings, but filters galore! Read more about how to customize aging values and styles on the FAQ page. If you like, please consider giving it a friendly review. Thanks! There is also a GitHub Repo where forking and pull requests are always welcome.